Located in the heart of Delray Beach, the Bethesda Bargain Box is a thrift shop that has sold clothing, furniture, books, appliances and more since 1958. The selection is unique and the prices are low. All items are donated by the caring people of our community. We count on the generosity of the community and gladly accept all contributions. Proceeds from the sale of your donations buy equipment for the hospital, provide local students with medical scholarships, and support many community service projects. The Bethesda Bargain Box is run by volunteers of the Auxiliary of Bethesda Hospital. These volunteers receive donations, straighten and price merchandise, repair small appliances and assist customers with their purchases. Most volunteers contribute a minimum of one-half day per week at the shop. They not only enjoy the camaraderie, but also the knowledge that their time is well spent. 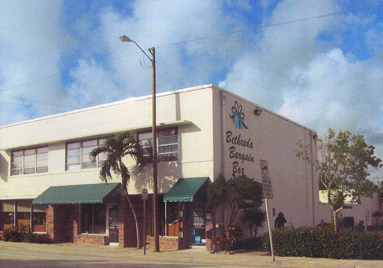 If you are interested in volunteering at the Bethesda Bargain Box, please call 561.737.7733, extension 84467. The Bethesda Bargain Box is located at 12 N.E. 5th Avenue in Delray Beach. Donations are accepted at the store or call to arrange for free reliable pick up of furniture and appliances. For more information, call the Bethesda Bargain Box at 561.278.2401.